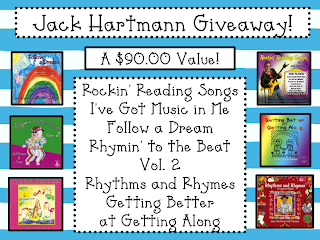 Mrs. Lee's Kindergarten: Jack Hartmann Giveaway!! 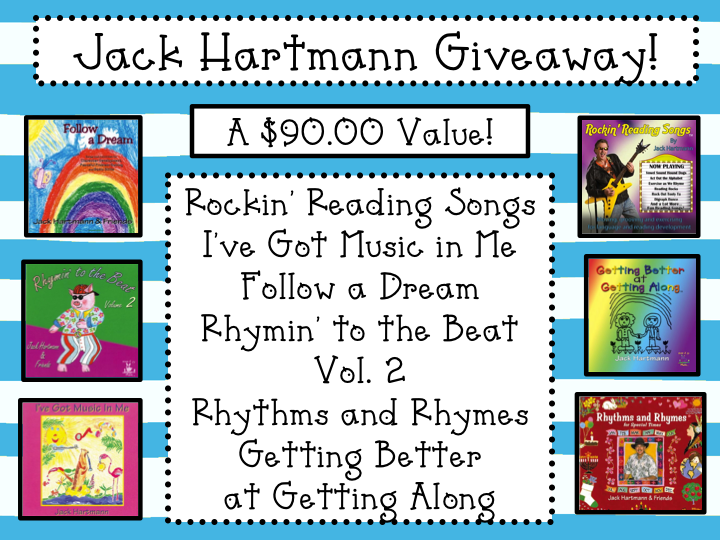 Jamie Mayas, Haley Bearden, Jack Hartmann, and I are TEAMING up to do an AMAZING giveaway. 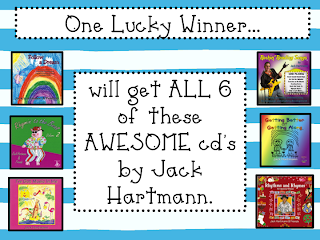 If you are a regular reader of any of our blogs you know that WE LOVE SOME JACK HARTMANN. When Jack was with us last week he ever so GRACIOUSLY agreed to do this so... here we go! Saturday night February 25th at 11:59 p.m.
You will receive one entry for all of the above for a total of 7 entries. 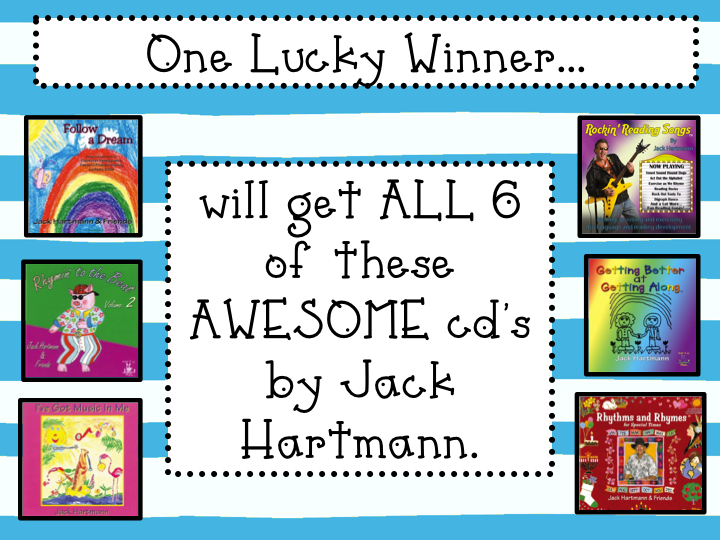 PLEASE BE SURE YOU LEAVE ALL ENTRIES ON Jamie's Blog! I love, love, love all of your ideas and pictures of centers! Hop on over to my blog - I have nominated you for an award!!!! Your units are always my favorite ones that I buy! My kinders thank you as much as I do!! I am very happy that I found this site. I want to thank you for this great information!! I definitely enjoyed every bit of it and I have bookmarked your website to see the new stuff you post in the future.